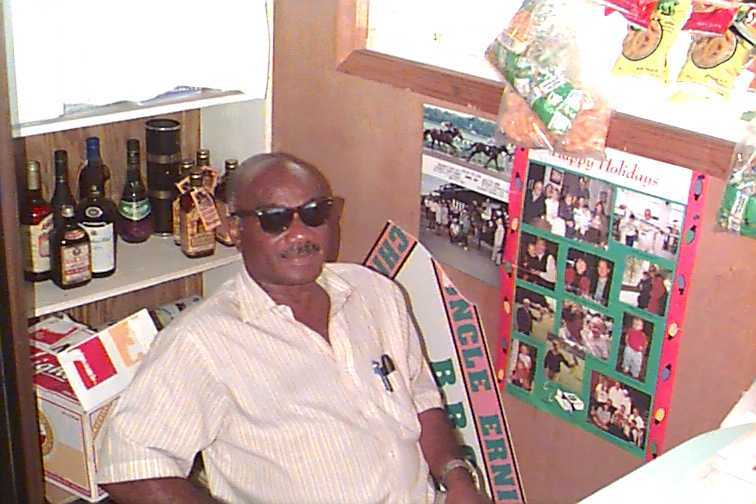 The most famous eatery in Anguilla is not Blanchard's or Koal Keel, but Uncle Ernies. Although it was blown to bits in Hurricane Luis, Ernie rebuilt it within 3 weeks. Same place, same style, new color scheme (that is Trevor leaning against the rail above. See Uncle Ernie's picture to the right. 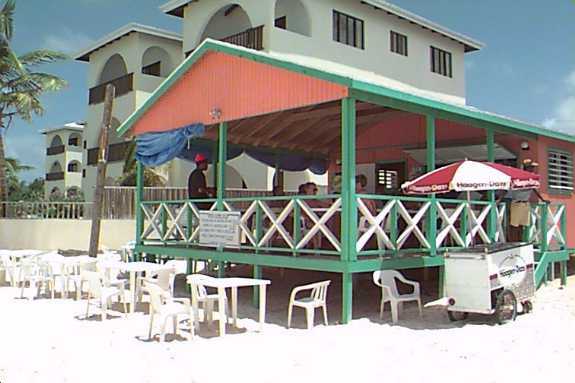 This unpretentious little stand on the beach serves cold drinks and Hagen Daz ice cream bars, with ribs, chicken, fish, hamburgers, and lobster or crayfish, when available. And the prices are right: $2 for a Heinekin and $6 for a rib dinner. Uncle Ernie's is open 10am to 8pm. They have live music on Sunday afternoons, as do many places on Shoal Bay beach (sometimes making for a "battle of the bands"). Happy Hour is Tuesdays 6-8pm, followed by music. Telephone: 264-497-3907.